February 8, 2018 by Laurie 1 Comment This post may contain affiliate links, which means if you click on a link and purchase something, I may earn a small commission (at no additional cost to you.) See my disclosure policy HERE. 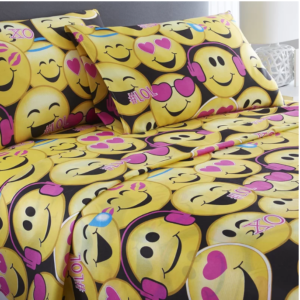 Do your kids love Emojis? Here's a fun deal! 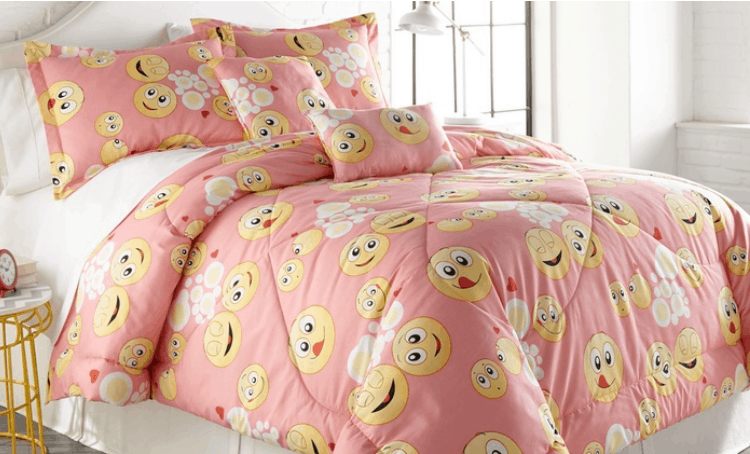 Right now on Groupon you can snag this Emoji Comforter and Sheet set for only $29.99 + FREE Shipping with any $34.99 order. If you have a tween, this would be a fun way to update their bedroom, or even buy the sheets and make DIY Curtains out of them!